Showing results for tags 'Drink Package'. Hi! A few friends and I just booked the 7 night Southern Caribbean cruise out of San Juan on 3/17/2019. I am wondering if anyone knows when RCCL will have a promo going on for the drink package? Apparently the price is increasing in 2019 and I don't think I am going to drink $63-$74 per day in alcohol lol. I figured I won't get one or I will wait for a promo. Thank you in advance! Hello All, I realized today that we have $75 OBC and everytime I look at the cruise planner, the price that is shown is showed with the OBC taken off. If we wanted to be able to book the drink package without using our OBC (I want to get a few merch items on board). How would I go about doing that? Do I need to call Royal? Do I need to have my TA call Royal? Any advice is greatly appreciated. Based on current bookings I should make Diamond Plus this spring. I sometimes cruise and share a cabin with friends or family who are not D+. This got me thinking... what about deluxe drink packages with the new rules that everyone over 21 in a cabin must buy the drink package if any one in that cabin buys the drink package? A Diamond Plus member typically receives a 30% discount from the on board drink package price. This is usually better than cruise planner prices even during sale events. That's great for the D+ member, but what about anyone sharing the cabin over 21 years old who isn't D+? If we buy in advance using the cruise planner the D+ member doesn't get their 30% discount but if you wait until on board, only the D+ member receives any discount, everyone else over 21 pays full price. No win situation. I posed the question to the Crown and Anchor desk at Royal Caribbean and this was their response: "We discussed your questions at length with a supervisor. The long story, short, is that in order to get the best value for all members of your stateroom, you will all need to purchase the beverage package through the Cruise Planner, before your sailing. Then, when you board, you will be able to cancel your own beverage package and then re-book it using your Diamond Plus discount." Has anyone tried this? Cancelling a cruise planner purchase on board and buying it again using your on board C&A offer? This is for Allure of the Seas January sailing Never seen more than 20% for drink package alone. This is full 25% US$ 41.25 per day. There is no more excuse to not buy it :) 2 drinks + 1 glass of wine + 1 coffee per day makes you break even. OVERVIEW Toast to virtually unlimited options on your vacation – wake up with premium coffee, tea, and fresh-squeezed juices, then keep cool onboard with non-alcoholic drinks and bottled still and sparkling water. Relax and unwind with premium and frozen cocktails, domestic and imported beers and a wide selection of wines by the glass. * Plus, enjoy a discount of 40% off bottles of wine under $100 and 20% off bottles above $100 in bars and dining rooms. Each adult of legal drinking age assigned to the same stateroom must purchase this package. Price shown is per person, per day. *All Beverage Packages exclude any beverages served inside licensed Starbucks® stores. My husband and I are sailing on Freedom of the Seas Jan 24 2016. Neither of us drink alcohol, coffee, or pop (we're from Michigan, we bake with soda, we drink pop) My husband really only drinks water, maybe juice at breakfast. I drink water and hot tea. I've been told that we can get juice, coffee/tea, and water with our meals. We were planning on just bringing our own refillable water bottles on the ship, and I always carry my own tea bags and stevia. So my questions are, will they fill our water bottles with water for us in the pool area, or will we need to refill them in our room? Is there a coffee maker in the room where I can heat my own water for tea? I have a small portable water heater pot I can bring if not. Thank You! What is the truth on the discount for drink package pay in advance or on the ship? GREAT SITE!!!! I am enjoying reading the posts and thanks for adding me. DH and I are Diamond Plus members and we booked a cruise with our daughter, her hubs, and the 2 grand kids on Oasis in Sept. and we are springing for the voyage. We wanted to purchase the drink package, but heard that if you wait until you are onboard the ship, they offer D+ discounts as much as 30%, is this true? I have read, yes, no, I don't know, so I guess no one really knows. My cruise planner right now is offering a 30% discount in advance for the Ultimate, but that includes Zoom, which I don't want, so it's still the same price. I only want to purchase the Ultimate package for the 4 of us. They are Diamond, so I understand their discount would be 20%. Crown and Anchor is useless, they don't have a clue. Champagne included with deluxe drink package? My wife and I are cruising Oasis of the Seas on September 3, 2017 and we have both bought the deluxe drink package for the first time (sixth RCI cruise together). My wife particularly likes champagne so we hang out at the champagne bar a lot. From what I have read the deluxe drink package covers drinks up to $13 on oasis class, but all the menu's I'm finding online only show two champagne (sparkling wine) choices (by the glass) with both being over the $13 mark. Has anyone been on a very recent cruise with the deluxe drink package and been able to get champagne without paying an up charge? Thanks for any answers! Drink packages on Cruise Planner 290 Days Out! So I'm 290 days out from my Eastern Caribbean cruise on Freedom of the Seas, and I see that the beverage packages are now available for me to buy on the Cruise Planner. Since I just missed the last Sip and Stream offering, and I've got so much time before embarkation day, I'm gong to bide my time and keep an eye out for either a 20-30% off sale or another Sip and Stream offer. Maybe around 4th of July week? This is kind of nuts, I'm still a little over 9 months away from my trip! At the rate things are coming up on the Cruise Planner, I'll have all of our excursions, drink packages, and internet booked and paid off at least six months ahead of time. At that point I'll just be making the monthly cruise fare payments until final payment in December. We set sail on Allure July 9th. My daughter and nieces like the specialty coffee drinks, like lattes, mochas, things like that. The refreshment package says it doesn't include Starbucks, so we bought them the refreshment package and the coffee card. Is this really necessary? I see the refreshment package includes premium coffees. Does this mean they can get espresso drinks with their refreshment package, they just can't get them at Starbucks? What does premium coffee mean? What kind of coffee drinks are included in the package? Thanks again all! 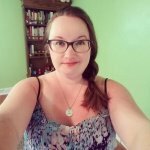 This blog has been such a great help! I've been trying to find this answer online, and found competing answers. Matt mentioned it briefly on Periscope today--but I couldn't tell exactly what he was referring to. Is Vintages part of the drink package, or no? I know the flights are over the cost, but do you just have to pay the balance or all of it? Can you get glasses of wine at Vintages on your drink packages? (This is what I wasn't clear on, on the Periscope, as he was pointing to the wine machines.) We love wine, and I would love to hang out there, but if it's not covered at all then it's a no go. And the fact that it is always so empty leads me to believe the drink packages hinder people from going there. Sorry...I am sure these are answered somewhere but I couldn't find them. We are heading out on the Harmony the first week of April and trying to decide about the drink package. We were on the Oasis last May (2016) and didn't buy one. I think on most days the package will be worth it but it's not a complete slam dunk. I have some detailed questions though..... 1) I usually get 2 drinks from any given bar. One for me and one for my wife. (Once in a blue moon, she may go to a bar to bring a drink back to the room for me.) Assuming we both get the drink package, how does this work? So, do I have to bring her card? Or can I just use my card and tell them I have 2 drink packages? 2) Can I use the drink package to get smoothies from Vitality cafe? 3) Where on Harmony can we get "premium coffee" using the drink package? I know it doesn't work at Starbucks and was struggling to remember where on the Oasis they even had premium coffee. Thanks in advance! On board Credit for Drink Package Oasis of the Seas? Hello All, I'm a first time RC cruiser, when I booked our cruise last January (2016) I was told we could use our $200 on board credit towards the drink packages for our Oasis of the Seas cruise. After paying for the cruise and speaking with customer service, they told me they can't apply it but I can buy the drink package once I board the ship with my credits? Has anyone else ever dealt with this? I was also told by my booking agent that I could purchase liquor at the duty free shop and immediately take it back to my cabin, and the posts on this blog seem to argue otherwise. So I'm quite confused what on earth is right because I feel like the booking agents tell you one thing then the customer service agents say the opposite. Can a recent cruiser clarify any of this for me? Thanks in advance! I am considering purchasing the Deluxe drink package on my upcoming cruise on Allure of the Seas. I know I'll enjoy some alcoholic drinks but I am also a coffee fanatic and enjoy my espresso based drinks so this package may be perfect for me. I know Starbucks is not included in the premium coffee but what is included? And where is that premium coffee found on the ship? I apologize if this question has been asked! This is my first cruise! Thank you for all your help! What shows up on your invoice with drink package? Hey everyone, Quick question! We are going on the Harmony in a couple weeks and we did the drink package. My father insists on having everything linked to his account so he can pay, because he's a great guy. Question: we did the deluxe drink package. Does a sale show up on the invoice at the end of the cruise for every time we buy a drink, even if it's "free"? Or does nothing show up unless we decide to add additional gratuity? Thanks in advance for your help! Just like so many, I am wrestling with drink package decisions...here's my latest: Has anyone purchased the Royal Replenish package and asked a bartender to add alcohol to a non-alcoholic cocktail and paid an additional amount? If so, how much? Hi, If I purchase a drink package do I still pay a tip on each drink? Greetings!! For the royal replenish package non alcoholic part...do I have to stick to the drinks I see on the menu or can I tell the bartender to make whatever I can think of as long as it is not alcoholic?